Here's your chance to live directly across the street from Riverside Park! 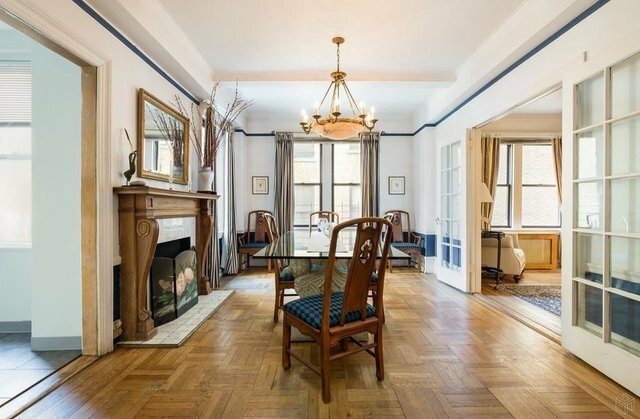 This warm and welcoming oversize 2BR bath-and-a-half home retains its classic pre-war detail, including hardwood parquet floors, decorative moldings and 9+ foot ceilings. Entry gallery leads to a spacious living room, full formal dining room and a totally renovated kitchen. Apartment also features an in-unit washer-dryer, although the building also has a large laundry room in the basement.300 Riverside Drive is an elegant pre-war co-op located on the corner of West 102nd Street - a quiet block, convenient to shopping, restaurants and transportation. The building has a full-time doorman, a live-in superintendent. Pets are welcome upon approval. Assessment of $197.58 in place until February 2021. Please call or email today for additional information or to schedule a private viewing.